Armed with a BA from Princeton University, the Houston-born Janis Susskind joined the London office of Boosey & Hawkes in 1980, learning the publishing business from the ground up. 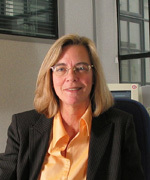 She became a director in 1997, joined the board as publishing director in 2004, and was made managing director in September 2012. Along the way she coped with personal tragedy when she lost both her first husband, conductor Walter Susskind, in 1980, then her second, former Boosey & Hawkes managing director Tony Fell, in 2011. Her time at the company has seen an impressive expansion of the composer roster. Louis Andriessen, Harrison Birtwistle, Unsuk Chin, Karl Jenkins, Magnus Lindberg, and James MacMillan were all signed to the London company during the 1990s, followed by Einojuhani Rautavaara and Mark-Anthony Turnage in the early 90’s and Mark Simpson in 2013. John Adams, Steve Reich, and the late Elliott Carter joined B&H New York in the 1980s. Susskind has built an impressive team whose members know the repertoire, are passionate about promoting contemporary music (the sales of which have doubled since 2004), and work hard for composers, negotiating commissions and plotting creative trajectories. The company’s revenues continue to rise, having attracted top composers and creating new income sources from both the back catalog and the front list. Anniversary campaigns like the Prokofiev 50th produced substantial uplifts, while the Britten and Rite of Spring centenaries this year, which Susskind’s team started work on four years ago, are breaking all records of performance activity. Britten’s War Requiem was scheduled for 171 performances between January 2013 and July 2014. Susskind’s management approach focuses on “recruiting special people and maintaining high expectations of them.” She believes in encouraging personnel at all levels to hear B&H music performed live, particularly new works, and often fields up to eight staffers at a premiere. The firm spends a high five-figure sum buying tickets each year. With 75 per cent of B&H income relating to live performances and broadcasts, Susskind is optimistic that live music-making will continue to thrive, including contemporary music. She is equally aware that the changing digital landscape requires vigilance to ensure that new models deliver value, both for composers and the publisher who looks after them.